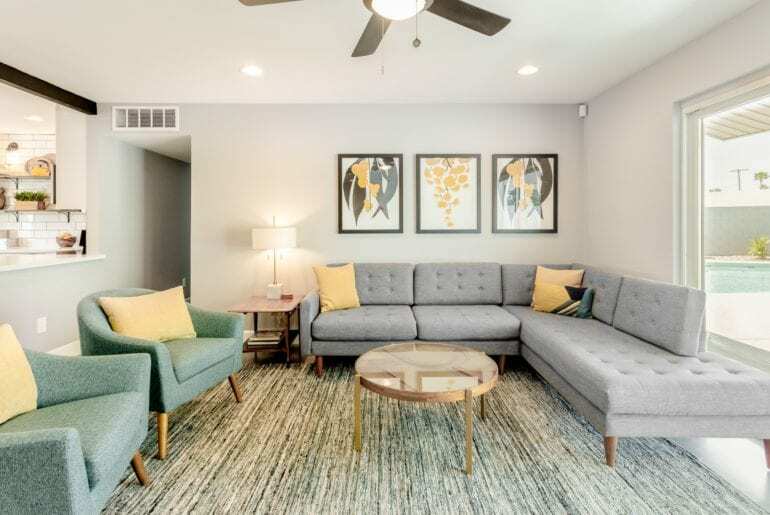 This Scottsdale Airbnb property has been newly renovated to a high standard. It features a pool table, fully equipped kitchen, and is close to local golf courses. This 4 bed 2 bath home can accommodate up to 9 people. $209 per night. 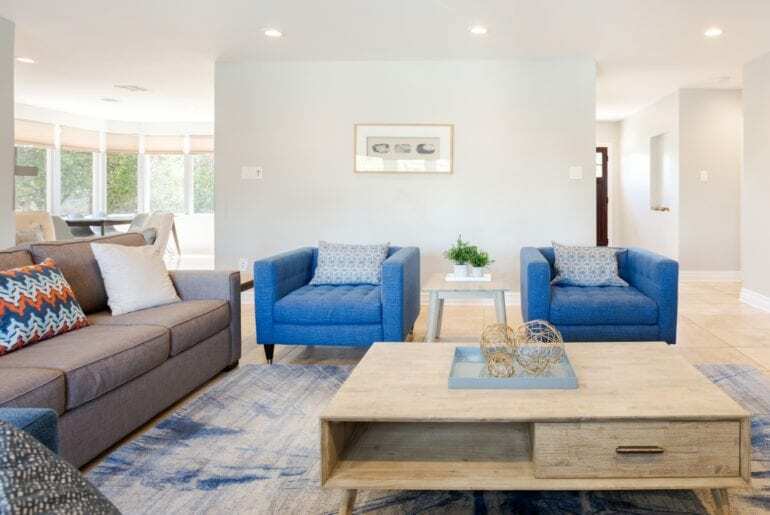 This beautiful Airbnb bungalow is brand new and features a host of amenities. Includes pool, fire pit, BBQ, horseshoe pit, pool table and pizza oven. 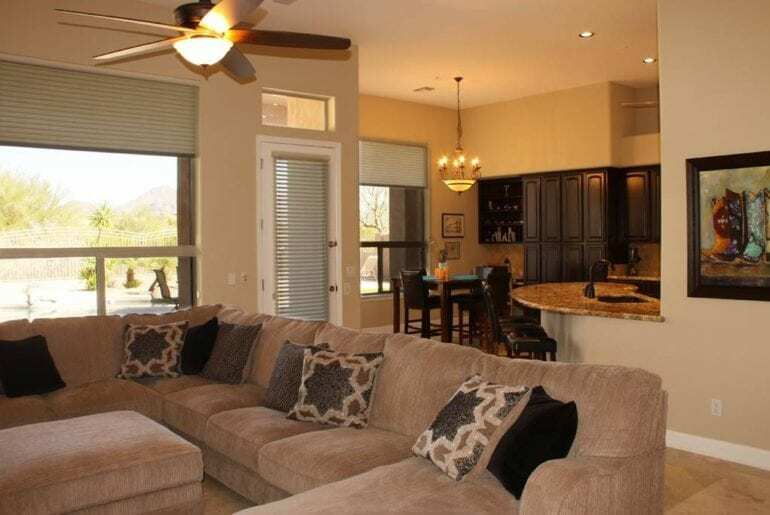 This home is within walking distance of old town Scottsdale. $235 per night. 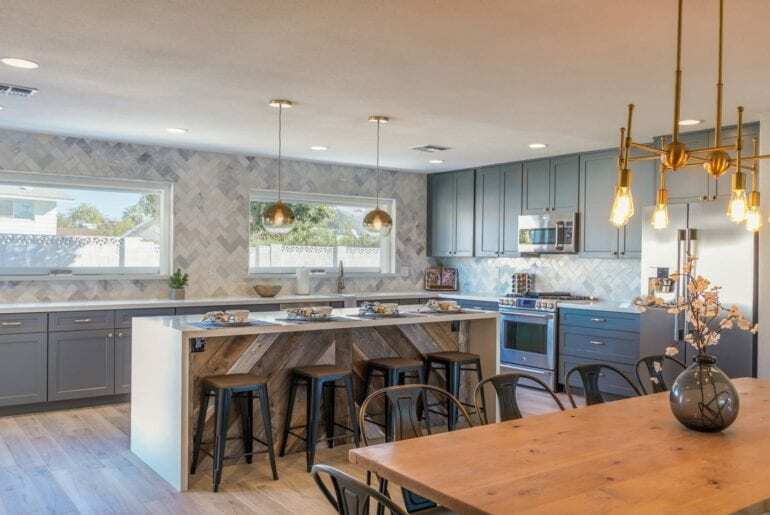 A lovely modern Airbnb home is located close to Old Town Scottsdale. Features an open floor plans, desert landscaping and private heated pool. This home has 3 bedrooms and 2 bathrooms and can accommodate 6 guests. It also has a private backyard and is near 30 miles of walking and hiking trails. $275 per night. 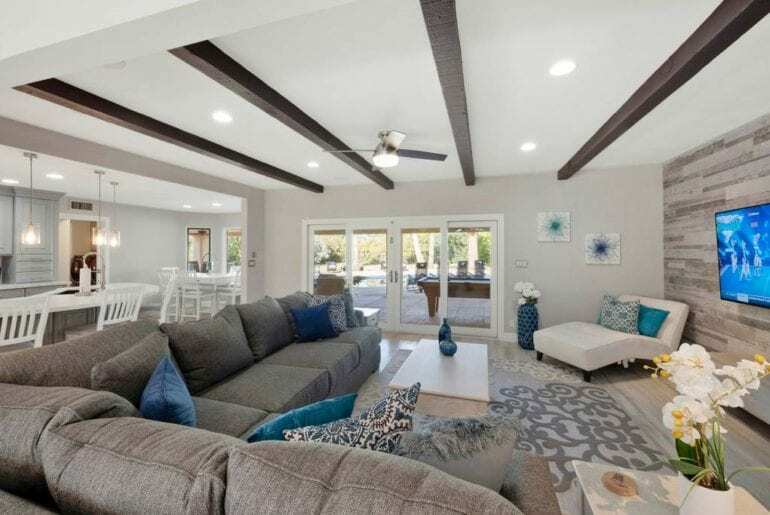 Hold a family gathering or entertain large groups in the luxury Scottsdale Airbnb Villa. This home has 6 bedrooms and can accommodate over 16 guests. 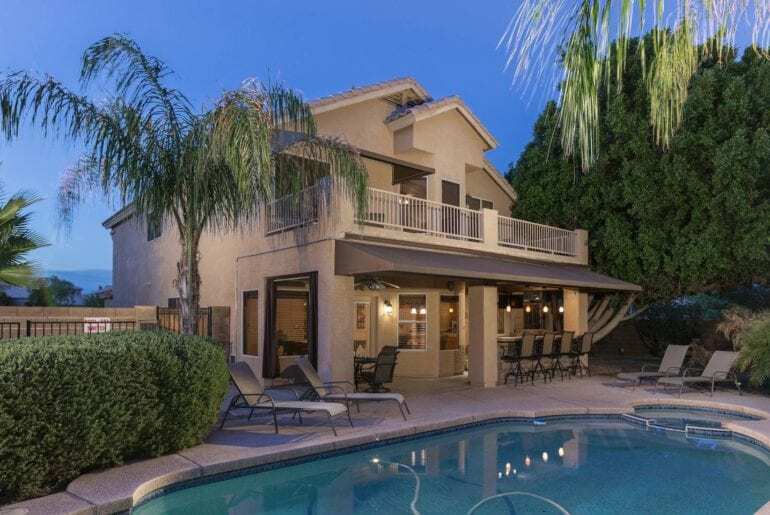 Situated on 1 acre with a private heated pool, hot tub and is in a desirable Scottsdale community. $450 per night. 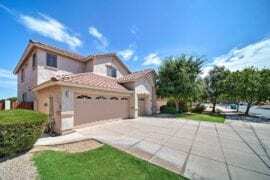 Looking for more Arizona rental homes? Find some HERE. Gorgeous luxury home located in the sought after Awatukee area. 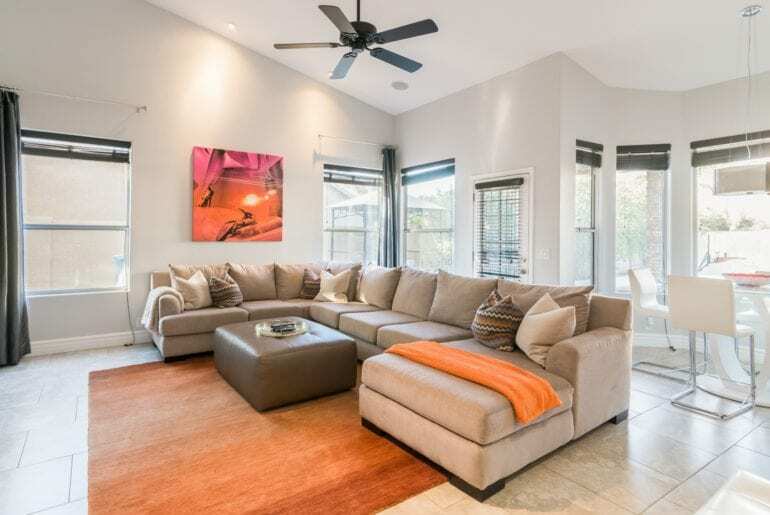 This 4 bedroom home features a contemporary design and updated modern amenities. 7 flat screen TV’s, private pool, and putting green. 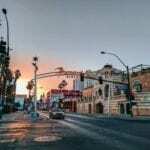 Located close to lots of local attractions. $309 per night.